ERP is described as a single complete system which aims at integrating all the business processes and the sub processes in a single system. This system is integrated in an organization so that all the business goals are managed and organized effectively and efficiently. It also helps to adapt the daily changes and business practices while maintaining a stable business growth. It helps the employees in growing the company and also responds to the new opportunities. The handling too becomes powerful and easy. It becomes fast to manage the business process and flexible for the supporting scalability. As the business starts growing the challenges start increasing. The question is will ERP help in handling all such challenges? Will this system help in expanding the business? Will it help in being flexible and even the difficult upgrades? 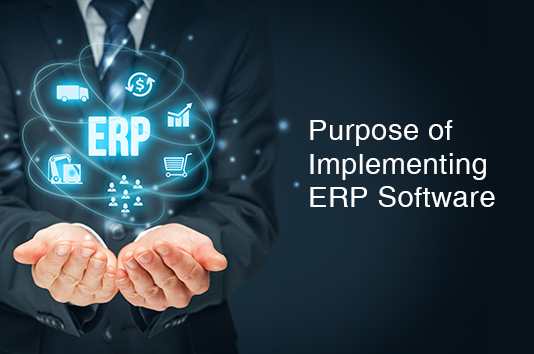 The above questions can be answered only if one knows the exact purpose of the ERP system. An ERP system is a whole system where everything is provided in an organized manner. The customer base increases due to the high-quality of services being provided to them. It helps in interacting with the customers in a better manner. This system keeps you updated in real time which helps in a faster decision making process. None of the things need to be maintained manually. The data can be accessed needless of time zones and places. The system is made in such a manner that it can support most of the languages and currencies. This software has the flexibility of being installed in any country due to this feature of multiple language and currencies support. The ERP system is such that you can access it anytime, anywhere regardless of the devices. Mobility will also help in expanding your business. It will also help the business to run in an efficiently. This one source is accurate, in real-time and helps in reducing the operation costs. If the right solution is selected by you and the right vendor too who are able to meet your needs then you are bound to see a powerful ROI. One should be not worrying about their data once you have an ERP in place. This new system will help you in improving the accuracy, consistency and the security of the data with the help of the built-in resources and the firewalls. The restrictions of data will be enhanced by managers of the solution so that the software can be as secured as you want it to be. Are you planning to set up a new business and in search of the best ERP solution? We at Inspirria Cloudtech, are here to help you. You can take us as your secured cloud provider partner and NetSuite solutions with decade plus of experience working with 500+ Cloud projects. We push productivity to its optimum level with some proven solutions that are used by best companies all over the world.